Today’s post comes from my dear friend Gena who, until recently, could not nuke a cup of tea without first calling the fire department to alert them that she was using a kitchen appliance. She can be found Tweeting about Chopped, America’s Next Great Restaurant, and all things U2 here: @Gena_not_Gina . I have my own oven. My own counters…fridge…and even my very own kitchen table. This might not seem too significant to you, but having my very own space to cook is a dream come true for me. Having lived with several roommates (and whomever they were dating at the time) for my entire adult life thus far, being alone with my groceries for a cathartic and tasty experience is something I cherish. In the past, cooking has been a rushed and annoying necessity. Now, it is one of my favorite hobbies. I would like to consider myself to be a cautious beginner. I don’t have too much experience, but I learn fast. 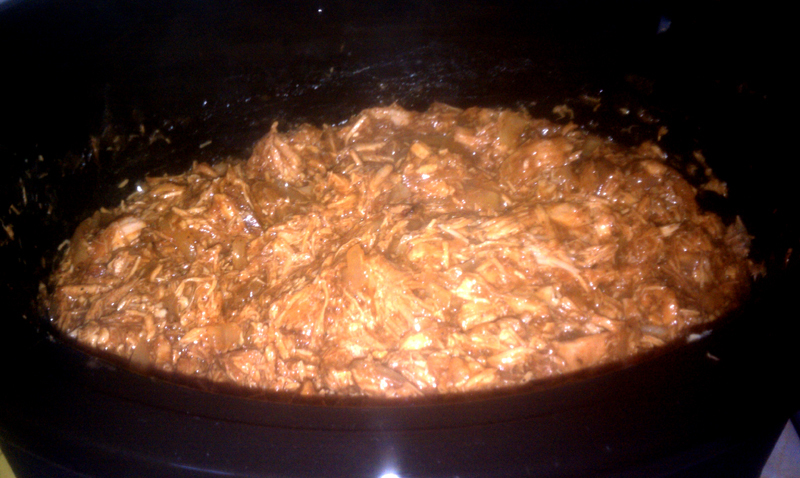 As the scaredy cat that NotaFoodie offered to call the fire department for on one of my first real cooking nights, I am honored to chronicle my first experience with homemade barbecue sauce and a universal favorite: pulled pork. When I bite down through a fresh roll and into juicy bits of shredded pork that has been saturated in the sweet yet savory goodness of a good sauce, I can declare that I am a meat lover. Pulled pork is designed to be its own self-contained mess of protein minus any sign of fat globules or sinew of any kind. That, in my opinion, is what makes it the perfect barbecue item. Smash garlic cloves and mix with all ingredients except for lime juice in small saucepan. Needless to say, my kitchen smelled heavenly. This spice combination created an aroma that I wish I can bottle. When I ran out to get my pork and some veggies, then came back, it was as though my apartment was giving me a big hug of sweetened heat. I knew this sauce was a winner and I hadn’t even put it on anything yet. 1. Place the pork in slow cooker. Cook on Low for 10-12 hours. back in and add remaining ingredients. 3. Cook on High for another 2 hours. Luckily, I planned to serve others when I made pulled pork, so all I had to do was keep it warm in Minny until my company arrived. I picked up a bunch of fresh ones at the grocery store. What do I look like? Sara Lee? Pulled pork with homemade sauce is not only a crowd pleaser and a great home fragrance creator, but it is really easy to make. Since it is meant to be mixed and heated for long periods of time, it also travels very well. I recommend it for get-togethers both indoors and out. 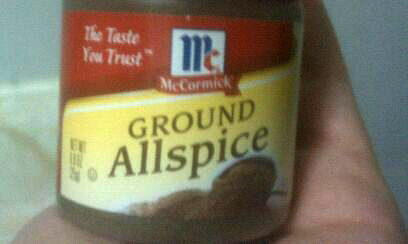 Now excuse me, I have to go snort some ground allspice. The greatest spice to put in your food and anywhere else. Awesome post, Gina- I mean, Gena. I think you should explore canning your sauce in air-freshener form so that we can smell it on demand! I REALLY wanted to say “Coke” but I didn’t want to sway any die-hard Pepsi fans or have anyone get confused with the powdery drug. I guess I could have said “Coca Cola” but that would’ve reminded me too much of Argentina…and they really concentrate on the intestines there, rather than the loin. 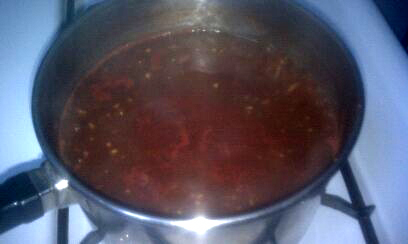 I’ve got an awesome bourbon / Dr. Pepper BBQ sauce that I make. I’ll post the recipe some day soon.